Traditional moth balls use naphthalene to repel moths, but humans are not the only ones to find a function for this potentially deadly toxin. Certain termites also use this poison in their nests. If these particular termites are infesting your home, yard or workplace, you could suffer from your own bout of naphthalene poisoning. The Formosan subterranean termite is the type of termite that uses naphthalene. As their name suggests, these termites usually live in or beneath the earth, preferring damp or coastal areas. Once the colony reaches its full size, it contains millions of termites out searching for food within 400 feet of their nests. Although it takes several years for these highly invasive and destructive termites to create their full colony, even a smaller number of them can cause massive destruction to trees, wooden poles and other wooden structures. Termite says Formosan termites can largely destroy a home’s inner structure in as few as six months. Termites use naphthalene to protect their nests. The poison repels their major enemy, ants, as well as microscopic worms, bacteria and fungus in the soil. Although naphthalene keeps invaders at bay, it does not affect the termites. Louisiana State University urban entomologist Gregg Henderson and a team of researchers first discovered the poisonous nests in Louisiana in the late 1990s. Henderson theorized the naphthalene was a result of processed food or micro-organisms in the soil, but MadSci Networks notes the termites actually produce the poison themselves. The southern states are most commonly home to Formosan termites, likely because the Formosan termite eggs only hatch in temperatures above 68 degrees Fahrenheit, the Termite website notes. The termites have plagued Hawaii as well as 10 continental states. These include Texas, Alabama, Florida, California, Georgia, Mississippi, Louisiana, Tennessee as well as North and South Carolina. 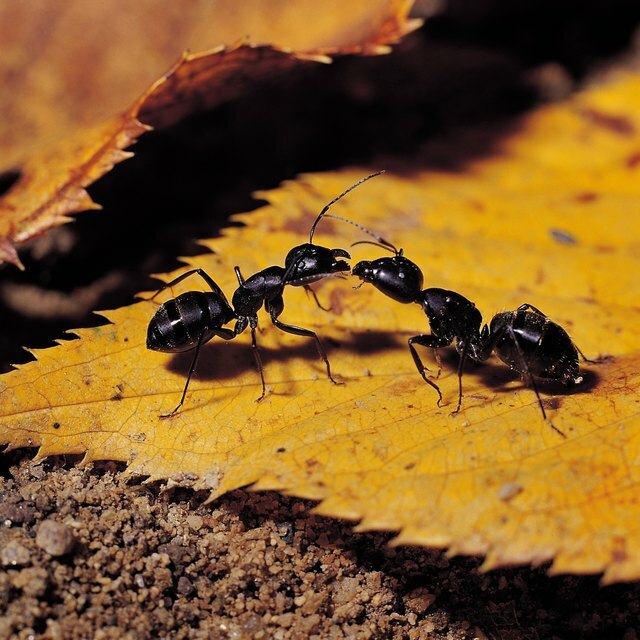 Naphthalene not only keeps ants and other insects away from the termites’ nest, but it can also poison humans. Naphthalene poisoning produces a variety of symptoms, according to Wrong Diagnosis. These include headaches, confusion, drowsiness, jaundice, fever, low blood pressure or a racing heart rate. 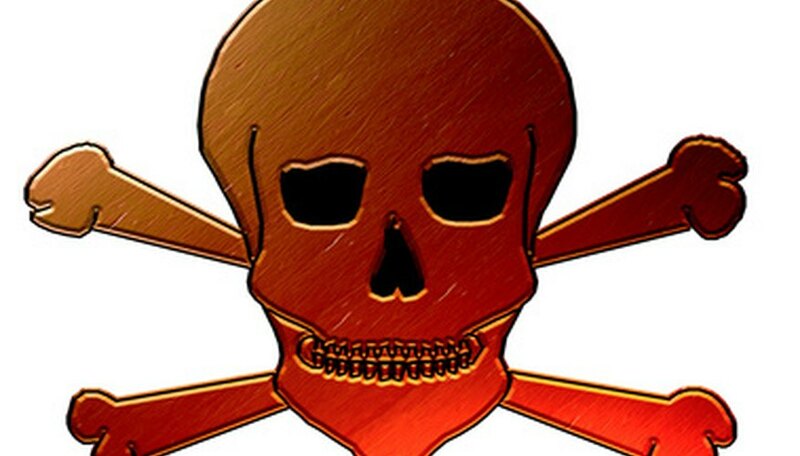 The poison can also hit your digestive tract and cause vomiting, diarrhea and abdominal pain. The most severe symptoms include convulsions, unconsciousness and, after prolonged exposure, a destruction of red blood cells, anemia and dark or blood-infused urine. Getting rid of the Formosan subterranean termites is the number one priority if they are infecting your home with naphthalene. You can try a host of termite poisons and other home remedies, but an experienced exterminator may be the best bet for a thorough job of eradication. A trip to the doctor, specifically one who specializes in toxicology, can help treat the poisoning. American Chemical Society Science Blog: Do Termites Use Naphthalene? Gargulinski, Ryn. "Naphthalene Poisoning and Termites." Sciencing, https://sciencing.com/naphthalene-poisoning-termites-6522077.html. 25 April 2017. Which States Have No Termites?